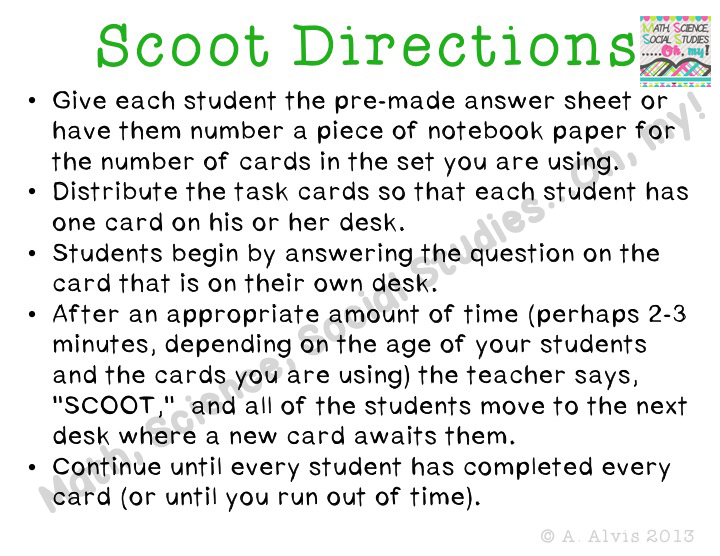 I will start this by saying that I always thought that SCOOT was an activity for the younger kids (not that I've known about it for very long, LOL!) But I found out today and that the older kiddos like it too! 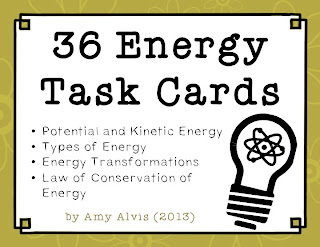 After creating my Energy Posters, I wanted to create some sort of activity to go with them. 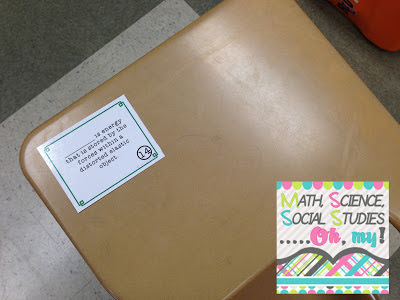 I started by creating a board game (more on that at a later time) and then wanted to do something that the whole class could participate in. 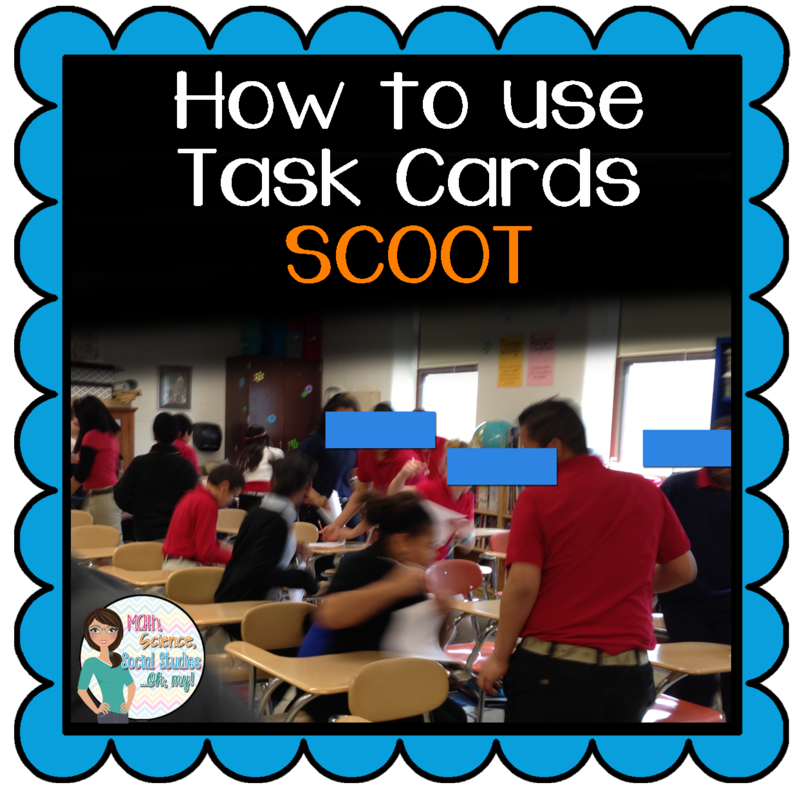 I settled in on task cards that could also be used for a SCOOT activity.. I made a set of 36 cards. 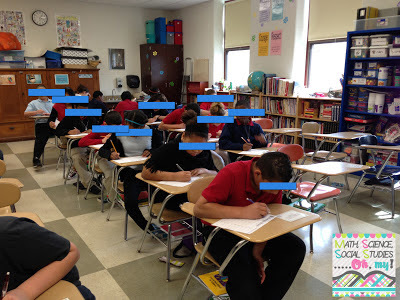 I don't know about you, but my classes sometimes go up to 33 or 34 students. The first thing I did was to pass out the cards. I even put them on the empty desks and back table to be able to use them all. 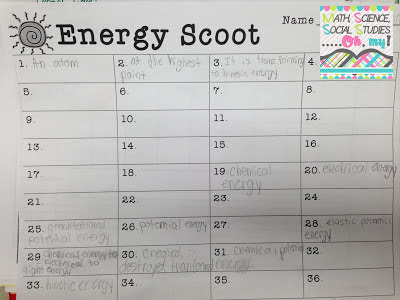 I then passed out the Energy Scoot recording sheet. I started out with giving them two minutes to answer the questions, but realized it was too much time for these questions. I set my timer to go off after a minute and told the students that was their signal to move. They had a blast doing this! We were able to do some review for the state testing that was going on this week and the students felt like they were playing a game. 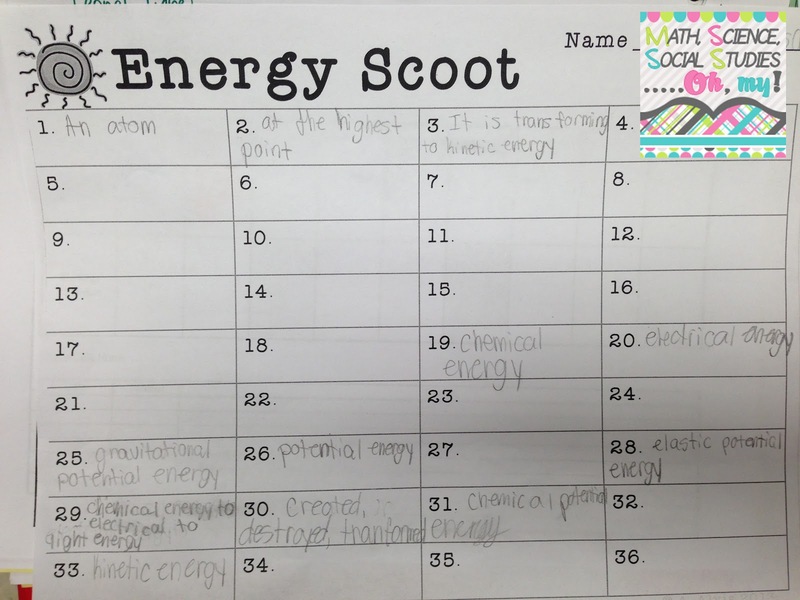 Thank you for explaining "Scoot!" I kept hearing about it, but anytime I heard it the poster didn't give enough context for me to understand exactly what it was. I do this sort of thing but backwards; we sit in a circle on on the rug pass the cards instead of moving seats. Either way; great science resource! I like your idea too! 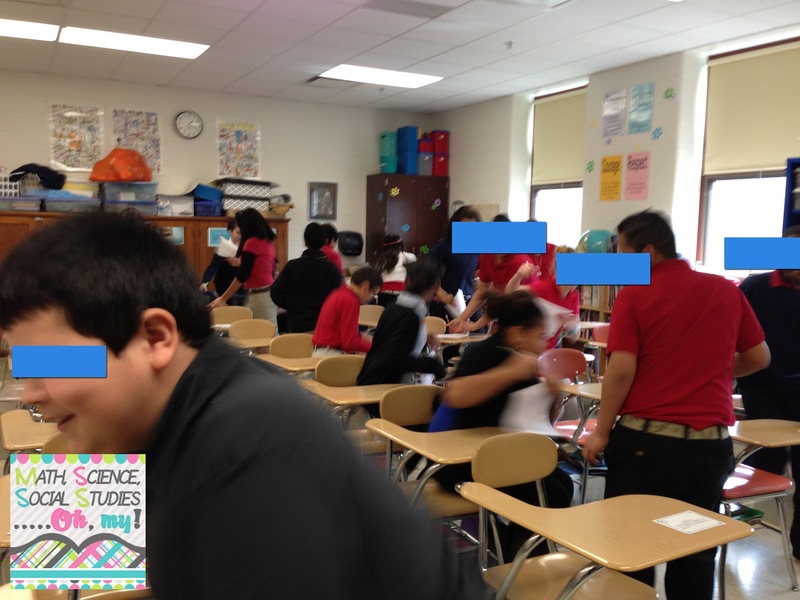 If I take the students to the science lab, we would have enough room to do this. It's always awesome to meet a fellow Hoosier out in Blogland!! Glad to have you here. I love this idea!! 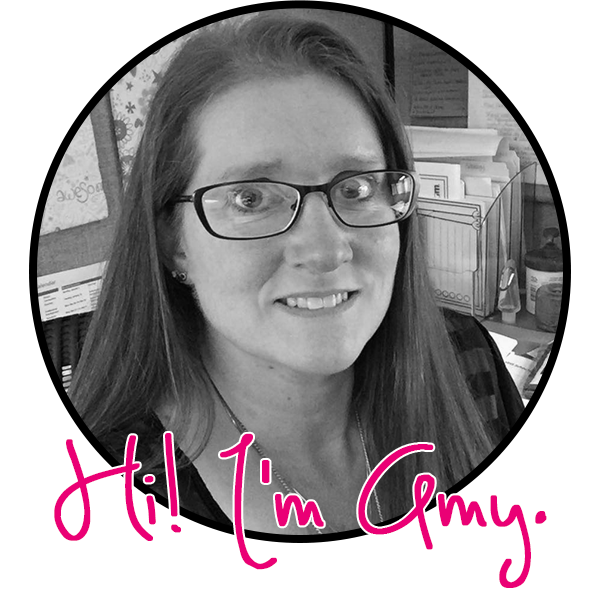 Just found your blog, I'm your newest follower! I just checked out your blog. You have wonderful ideas. 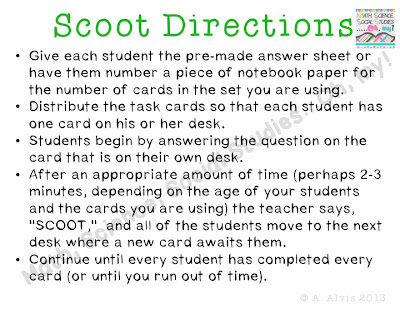 I'm going to see if I can adapt some of them to fet my 5th and 6th graders.